What Is The baKblade 2.0? Could baKblade 2.0 Be Da Bomb? Well, I am so excited for this month. Why? Because baKblade will be releasing the baKblade 2.0 this month, that’s why. Fingers crossed. I must be a freaking back shaver freak, right? 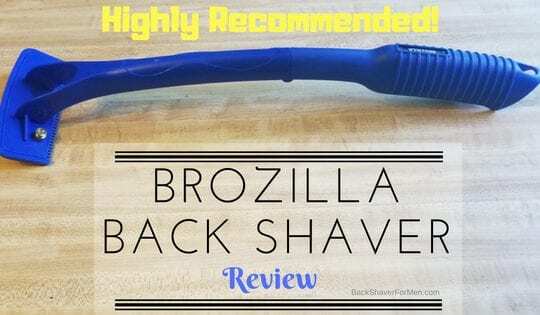 Update: Check out my current review of BAKBLADE 2.0 here, BAKBLADE 2 Review -Best Back Hair Removal For Men? They have been running an Indiegogo fundraiser for quite some time. 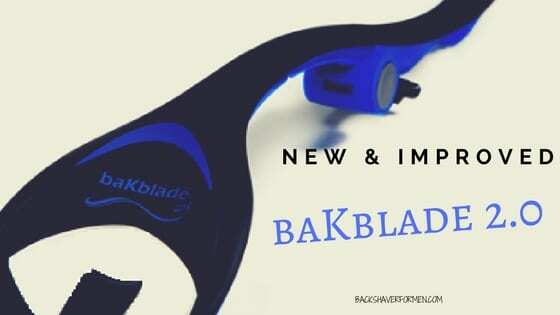 You can order the baKblade 2.0 at Indiegogo website found here. As I was and am still very pleased and impressed with the original baKblade performance. The Idea of improving an already amazing design has got me a little excited, I am not going to lie. I am just hoping to raise baKblade 2.0 exposure with this post. Then to follow up with an actual review when I receive the product, hopefully in a month or two. Well, what is the baKblade 2.0? 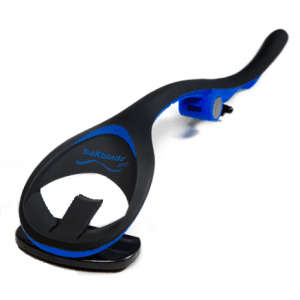 The baKblade 2.0 is the newest and improved designed back shaver from baKblade. As at the time of writing this it has yet to be released. It is a do-it-yourself back shaver. Yep, you can shave your back by yourself, with no assistance from anyone. So, if you either had someone help you shave your back in the past or went to a salon, where they’d waxed your back, those methods are not the only choice you have nowadays. Many of today’s current back shaver does an excellent job of handling even the hairiest gorilla back, some better than others of course. If baKblade 2.0 is anything like its older brother, it is sure to be amazing. 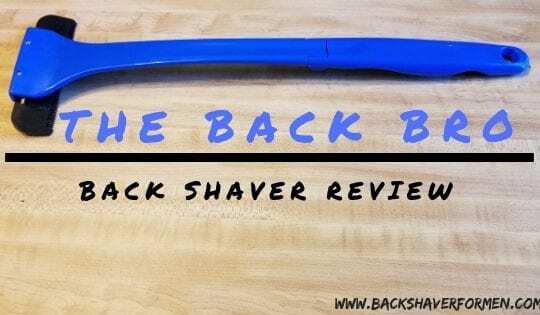 To read my in-depth review of the baKblade 1.0 Bigmouth original back shaver, head over to my post here, What Is baKblade? 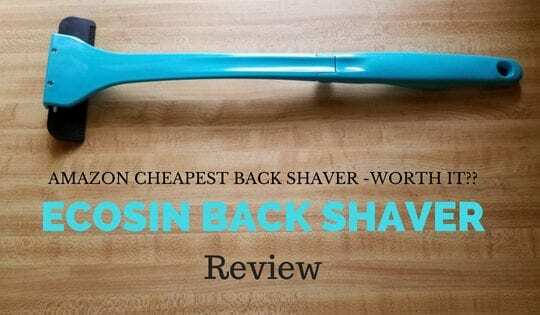 baKblade is my highest ranked back shaver to date and if you are looking for a good working back shaver that you can shave your own back with, it’s hard to beat. This is why the newer version of baKblade is so darn exciting. Let’s get into some of the new features of 2.0, as this thing looks like something out of Star Trek. This thing has been completely redesigned and beautiful. Right out of the batter’s box, baKblade is claiming that their much loved dryGlide® technology is improved upon, with this newest version. God, this would be amazing because I was super impressed with the first version dryGlide technology. They just get it right. This system is amazing, as it allows you to get a close shave with reduced risk of cutting your back when shaving. It feels just like a back scratcher when using the baKblade. I am so glad they are keeping this amazing technology in the newest version, or at least improved upon it. The next obvious feature that was changed on this newer version is it looks. Its color is now black and blue. Along with the color change comes a completely re-engineered handle from the previous versi0n. This just looks cool and functional. 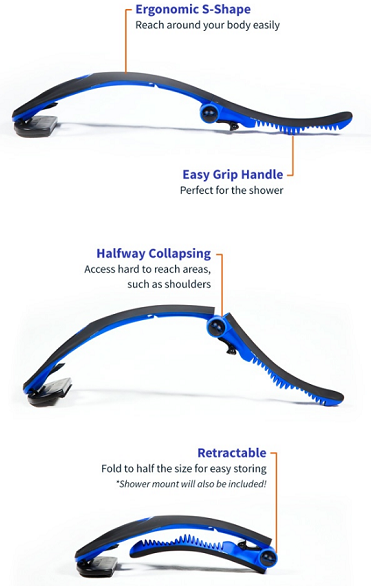 The handle has a definite s-shape to it which they claim that it provides a full range of motion when shaving your back. This allows you to more easily shave them hard to reach spots on your back. The handle is also collapsible in two positions, a halfway collapsed position and a fully collapsed position. The halfway collapsed position is for hitting the shoulders, as you need to have less reach to properly attack the hair on the shoulders. The fully collapsed position is for storing the baKblade 2.0, as this allows you to almost reduce the length of this unit to almost half of what is fully extended. Supposedly, there is also going to be a shower mount on it too, for those that like to shave in the shower. Also, they have redesigned the grip on the handle. Making this an easy to grip handle, at least this is what it looks like from the pictures. The grip is unique as it has rows of horizontal ridges that looks very ergonomic and contoured to fit the hand precisely. This should provide better retention and feel as well as you are less likely to drop it the shower for sure. Another feature worth noting is they provide a cleaning brush. This cleaning brush is located underneath the front half of the shaver. Great feature, again! I love that it attaches to the handle and is out of the way while shaving. If the cleaning brush just came loose and not attached, I would be 100% positive, I would lose this in the first week. I love that you can store it in the handle. This is something I mentioned in my review of the original baKblade review, as it usually needs a cleaning after shaving with it. The original baKblade uses just one blade for shaving (btw, it works phenomenally), now the baKblade 2.0 uses two cartridge blades. Imagine how much better this is going to work with two blades. For a better and quicker shave as well. Both the old and the newest version of baKblade can be used both wet and dry. I am a big fan of their dryGlide®, as this cuts both dry or wet and all the while with little risk of cutting you’re yourself with it. The blades cartridges on the 2.0, just easily slide in and out of the housing, when the blades are dull and need replacing. 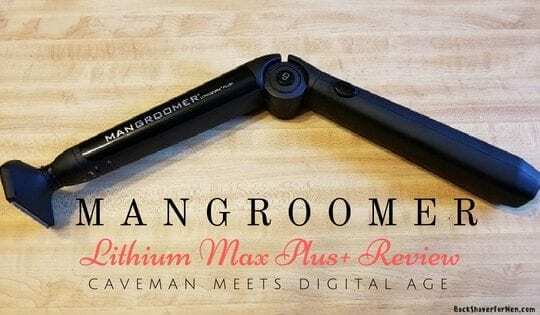 Along with the addition of another blade cartridge to the mix, the whole shaving head can be removed and used to shave anywhere else you need to mangroom. Love the versatility of this function. The more options the better. Right? A detachable housing shaver head for manscaping anywhere. Improved dryGlide Technology over the previous version. Cleaning brush included and stores on the unit. 3 handle positions – fully extended for maximum reach, halfway position for shaving the shoulders, and fully collapsed for storage. Improved s-shaped handle for improved reach and clearance. 2 blades – Over 1 blade in original baKblade 1.0. Improved handle grip. Total redesign to fit the hand naturally. I think it’s pretty apparent that a lot of rethinking and designing went into the baKblade 2.0. 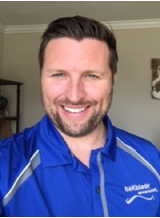 You can tell someone really cares and is very passionate about improving upon the original design of the baKblade. I think that someone is the CEO/Founder Matthew Dryfhout. He obviously has a popular product in a niche market with his first product but decided not to rest on his laurels. Instead, he embarked on improving his designs and sought to get crowdfunding to help fund this new endeavor. Most men have a do-it-yourself attitude and a back shaver caters to that attitude, of being self-sufficient. Most men won’t ask for directions if lost because they would rather handle it themselves, rather than ask someone else for help. I fall into this category myself and I would never even think of going to a salon to get waxed or lasered. Not an option for this guy, this is why I love back shaver and to help spread the word about them. baKblade 2.0 Is Da Bomb! What is baKblade 2.0? I think it destined to be an ultimate back shaver. For sure, the improvements over the original baKblade is amazing. Thought and passion were pointed at improving the original design for certain. I am anxious at trying the newest version of baKblade 2.0, as it sure looks to outperform the previous version. Any questions? Any comments? Any complaints? 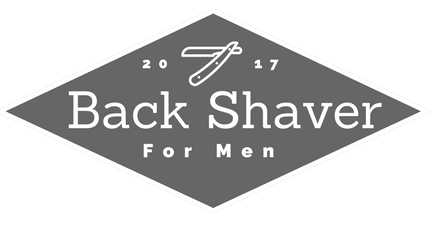 Always 100% welcomed here at Back Shaver For Men. Feel free to let me know. Thanks!